Money might not buy happiness, but it does buy office space, equipment, supplies, and employees. Finding funding is tricky when your business is just getting started—let’s talk about your options. You’ve had your “aha!” moment: that first big business idea. You carefully considered your market, your target customer, and your business model. You even made up a memorable business moniker with ample alliteration. But before you can take any more steps, you need to know how to get funding for a business. In this article we’ll discuss the wide range of funding options available to business owners so you can find the options that work for you and your budding business. 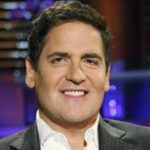 Remember that even if you don’t receive every dollar you hoped for, you can still build the successful business Cuban describes as long as you find a way to make customers happy. Startups carry a risk, and debt can be a huge burden when a new business is struggling. Avoiding investors and debt—and the obligation that comes with them—gives an unproven startup some freedom. According to data by Fundable, “personal savings & credit” and “friends & family” are the top sources of business funding in the United States. Personal savings are the safest and cheapest way to fund a business. By relying on personal savings, you are both borrower and lender. You probably won’t take your own house as collateral or charge yourself interest. Of course, using personal savings doesn’t eliminate all risk. You can still lose money on your personal investment. But if you borrow from yourself responsibly you can mitigate any possible damage and keep your personal finances afloat instead of going down with the startup ship. Make sure to save some money in the bank for problems that may crop up later. You can also borrow from a retirement fund like a 401K or self-directed IRA, which is fairly common. But remember to keep careful record of your payments back to your retirement to avoid future issues. If you feel uncomfortable about using the savings you currently have, you might want to wait on your idea until you feel more confident. Look over that budget and find additional ways to save (or find additional income sources). Keep saving, continue refining your business plan, and you’ll build confidence in your investment as well as your ideas. Generally speaking, it’s difficult to get small-business funding for brand-new businesses through bank loans. Lenders need to be confident in your ability to repay the loan, and they won’t have any solid evidence of that without company income as a reference. If you give your business a little time to breathe, coming back to the bank at a later date could give you greater funding to grow. You’ll have cash flow numbers to show your lenders, and you’ll have proven a real commitment by sticking with your business for a year or two. Securing a business loan or business credit cards will be great not only in the short term but also in the future—you can start building a credit history for your business that will enable even more opportunities down the line. When banks and credit unions are still reluctant to finance small businesses, online lenders can fill that void. Some online lenders rely on peer-to-peer lending where small shares from investors are matched with potential borrowers. Other lenders function like a traditional bank. Based on your borrower profile, Lendio can match you up with the right lender for your business. While generally more expensive, online lenders offer opportunities to businesses that have been otherwise turned down by banks. There are quite a few reliable online lenders to turn to, and there are even a handful of options for businesses with bad credit. Some online lenders also focus on assisting women-owned businesses or minority-owned businesses, which can be quite helpful for marginalized communities. Small businesses can benefit from Small Business Administration (SBA) loans too. The government backing of these loans makes them significantly safer for lenders. 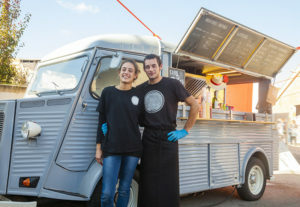 Talk to your lender to see if one of the several SBA-backed loans could fit your situation and help your young business. Some potential business owners might feel uncomfortable asking people they know for financial aid, but there are a couple benefits to turning to friends or family before financial institutions. First, depending on your relationships, you might have an easier time rallying friends and family to your cause thanks to your connection with them. Second, you will likely pay little or no interest, which saves you money. But you do run the risk of damaging friendships and trust. Naturally, each friend or family member might respond differently, but in most cases, it will help if you treat the transaction professionally. Share your business plan and why you think it will succeed with them. Tell them when and how you plan to pay them back. You can also treat any friends and family members like true investors and offer them friends and family shares, also known as directed shares. They will receive a share of the business, and when your big idea takes off, they’ll benefit. If you have a great personal credit score, you might be able to take out a loan from a bank, credit union, or online lender. Almost all lenders will factor in your personal credit history when you apply for a business loan, but some lenders may want to see a credit score for your business, which could be a problem for a brand-new startup business. Alternatively, you might want to skip the business loan entirely and ask for a personal loan from your local bank. If your personal credit is better than your business’s credit, these loans can have a lower interest rate, which is an obvious plus. And when entrepreneurs have no track record to show the bank, it makes sense to ask the bank to focus on personal credentials instead. Messy bookkeeping—You really want to keep a clear split between your business finances and personal finances whenever you can. Tax season is stressful enough without a confusing conglomeration of professional and personal financial records. Personal liability—Even if you signed up for an LLC for the limited liability, using personal loan money could leave you fighting to protect your personal assets if your company goes to court. Less options—Business loans can include options for specific business issues, including SBA-backed loans, equipment or invoice financing, and disaster loans. Instead of personal loans you could also take a look at personal credit cards. Although personal cards usually have a smaller credit limit, a personal card dedicated to business expenses might help with small purchases while you wait for your business to generate income. As with any credit card, pay off your balance early and don’t borrow what you can’t pay back. Just remember that if you use a personal credit card, you’ll be building your personal, not your business, credit score. If you do choose to go into personal debt for your business, aim to keep your debt limited to only the expenses needed to get your business rolling. Some good examples would be purchasing equipment to create your product or building a marketing team. With a name so heavenly, who wouldn’t seek out angel investors? These sponsors back promising startups with capital in exchange for shares in the company. As a result, the most important thing they’re looking for is how reliable and how large the return on their investment will be. If you intend to keep your company small with a modest business plan, there’s absolutely nothing wrong with that. But you probably won’t get a nibble when fishing for angel investors or venture capitalists. They want their share in the company to grow and grow, so you’d have to have the next big idea to get them to bite. In other words, for most startup businesses, venture capital is a fairly unlikely source of funding. In addition to dreaming big, businesses might find better luck if they develop a new product or process that could in turn be sold to larger companies in the future. Do you believe your business could catch the eye of an angel investor? Make sure you prepare as much as possible for your pitch. You’ll only get one shot, and you’ll need all the answers and confidence you can muster. If phoning a friend won’t work, maybe asking the audience could help you on your path to be a millionaire. 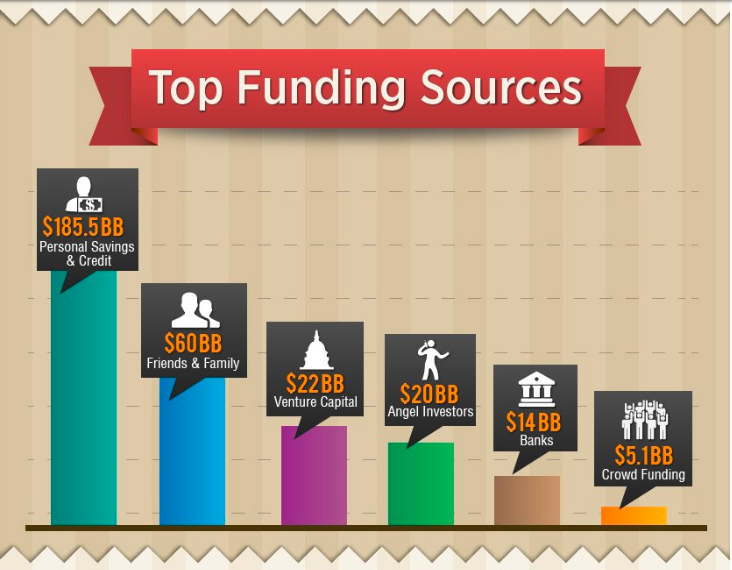 Game shows aside, crowdsourcing your financing can be a powerful tool. Because the investments are split into much smaller amounts, the investors feel a lot less risk with the money they do pledge to your crowdfunding campaign. Additionally, your crowdfunding campaign also functions as its own marketing campaign. While some crowdfunding sites (called equity crowdfunding platforms) do offer securities, many popular platforms, such as Kickstarter, don’t offer actual shares in the company. Instead, people invest because they love the product itself and want to see it happen. So you’re already connecting with your biggest fans before your business even begins. A huge part of a successful crowdfunding project is selecting the right site. Crowdfunding platforms attract different crowds, and you want to find the right crowd for your small business. Keep in mind that a good funding project takes work before, during, and after the campaign. Before you start the campaign, you’ll need to organize an effective pitch (and remember who you’re pitching to). While the project is ongoing, you’ll likely want to include frequent updates to create and maintain interest. And afterward, you’ll need to make good on the promises of your campaign, including backer rewards if they were offered. As you narrow down how to get funding for your business, don’t forget that you can split funding between different sources, wait for a better time, or maybe even forge ahead without all the money. Though it may seem like it in the moment, the worth of your ideas and your business plan isn’t measured by the funding you get. Many factors play into successful investors and loans, and some of those factors might end up in your favor the next time you go looking for financing. This article covers a broad topic, so if you have any additional in-depth tips we’d love to hear them in the comments section!